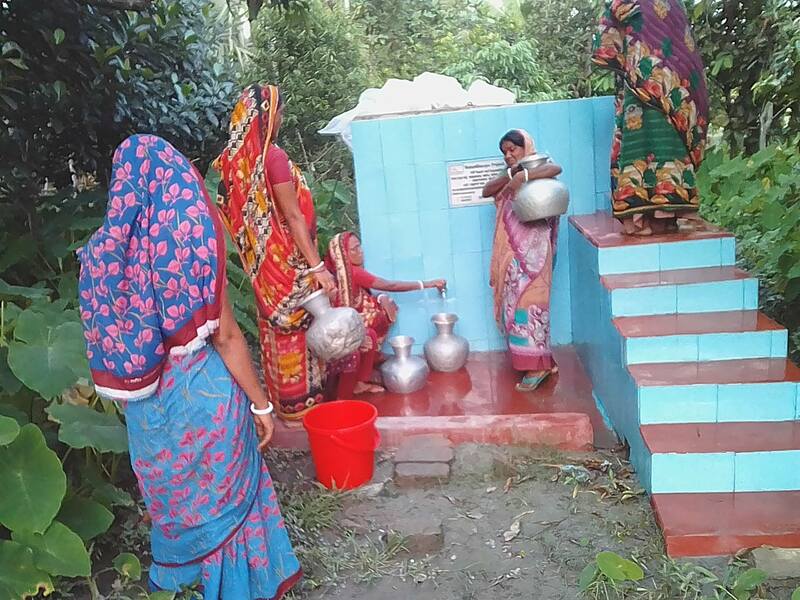 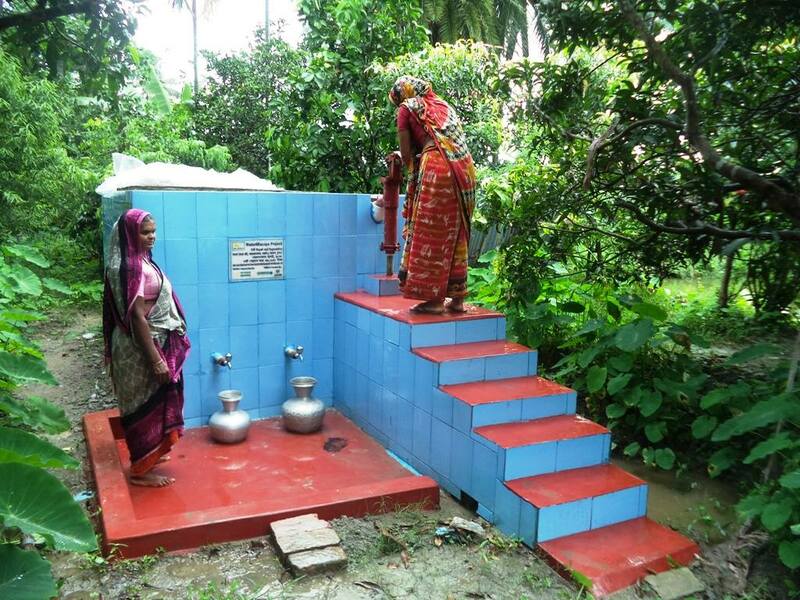 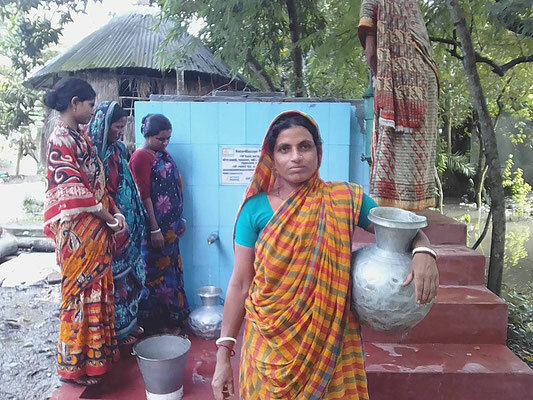 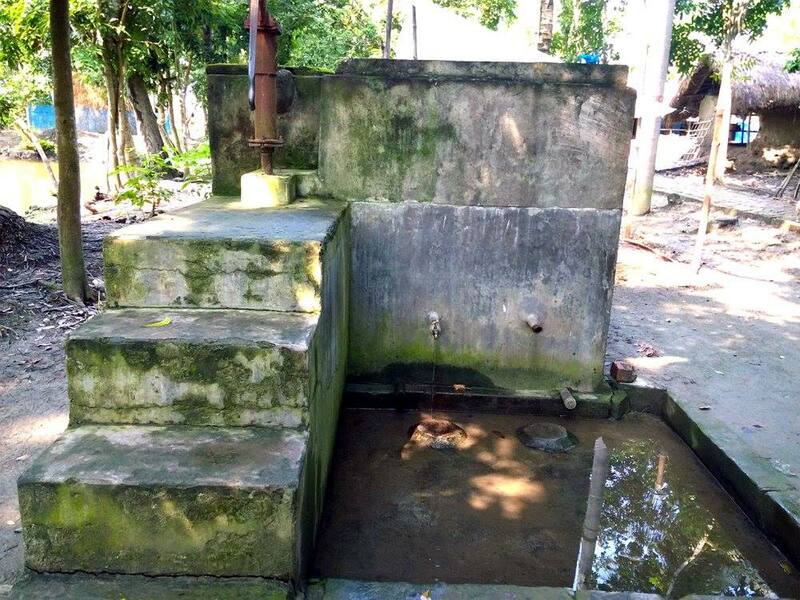 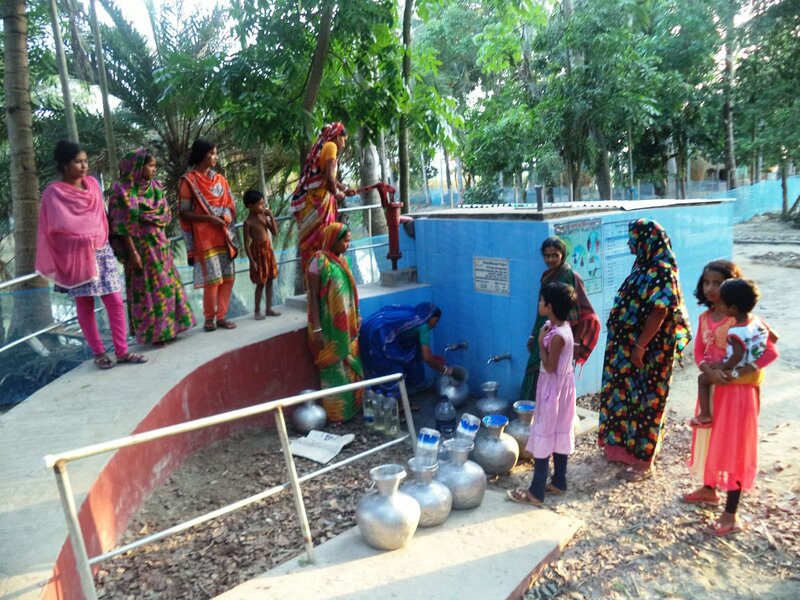 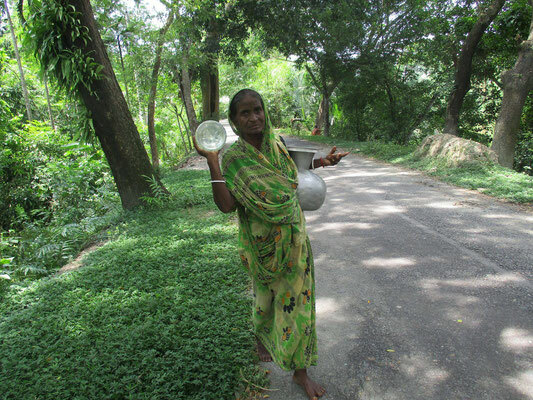 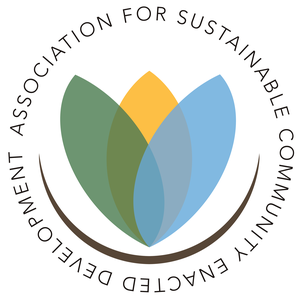 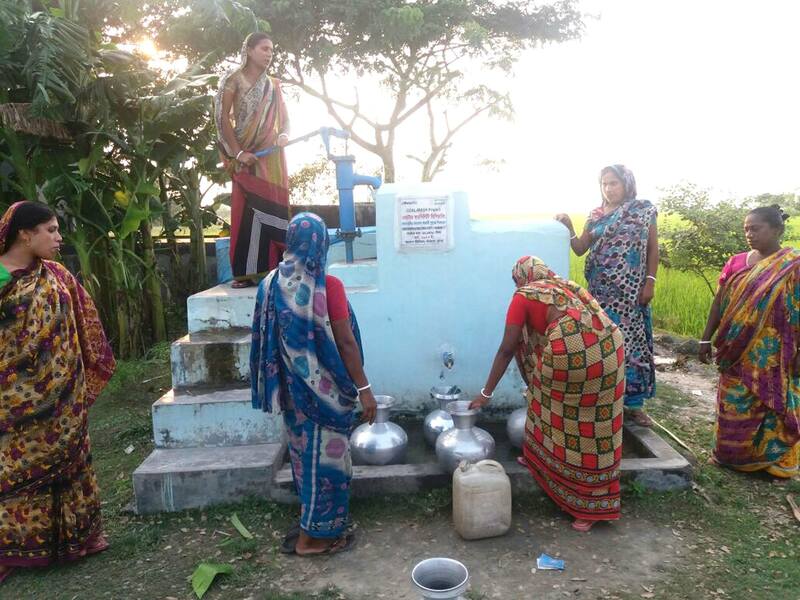 Clean Drinking Water for Climate Vulnerable Dacope Upazilla in Bangladesh - ascend-globals Webseite! 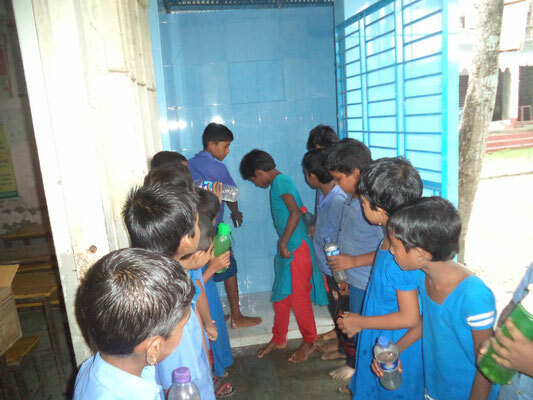 Click here for your Online Donation! 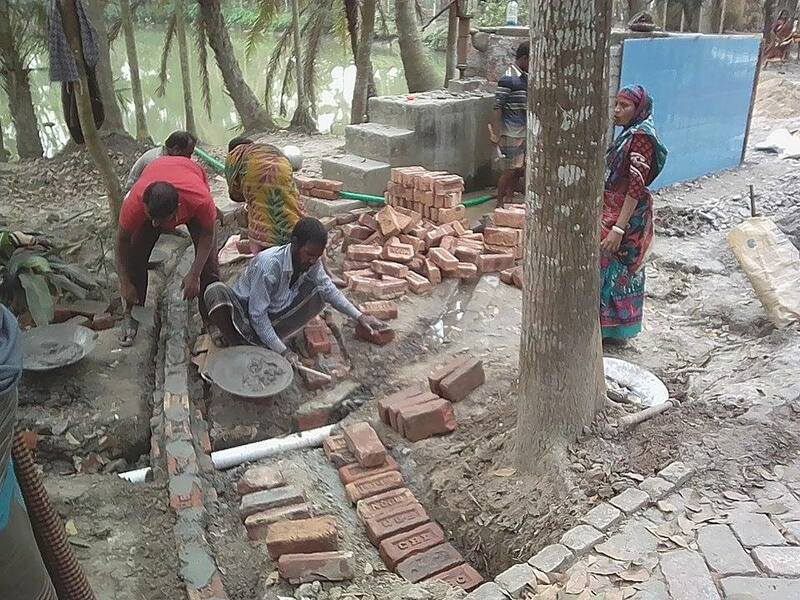 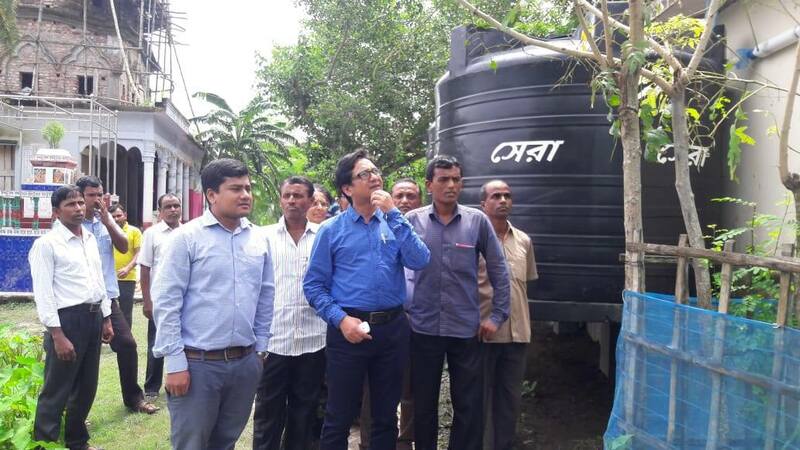 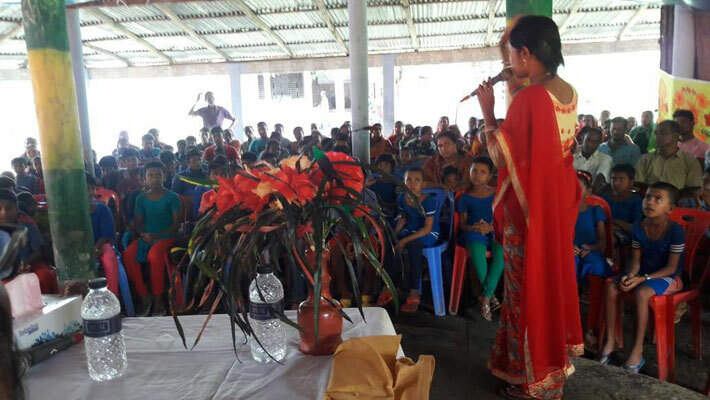 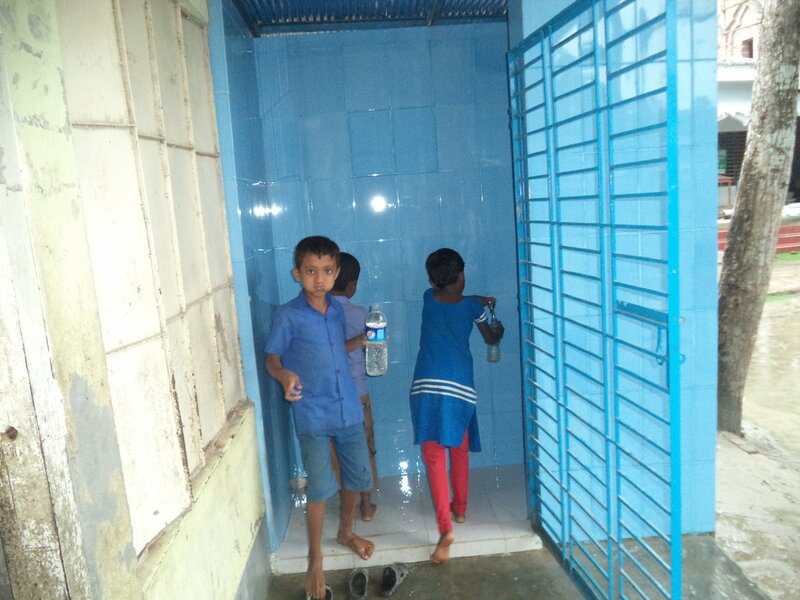 Our initiative "Water4Dacope" supports the population living in the southwestern country district at the coast of Bangladesh in implementing an independent and stable drinking water supply. We want to accomplish the project's goals through specific execution of local projects with multiplicative effects for the neighbouring regions. To overcome the severe water crisis in Dacope, we set up a project to install low-tech community based water filters, repair & upgrade existing slow sand filters, install rain water harvesting & treatment systems (especially in critical community place like schools, colleges, markets etc. 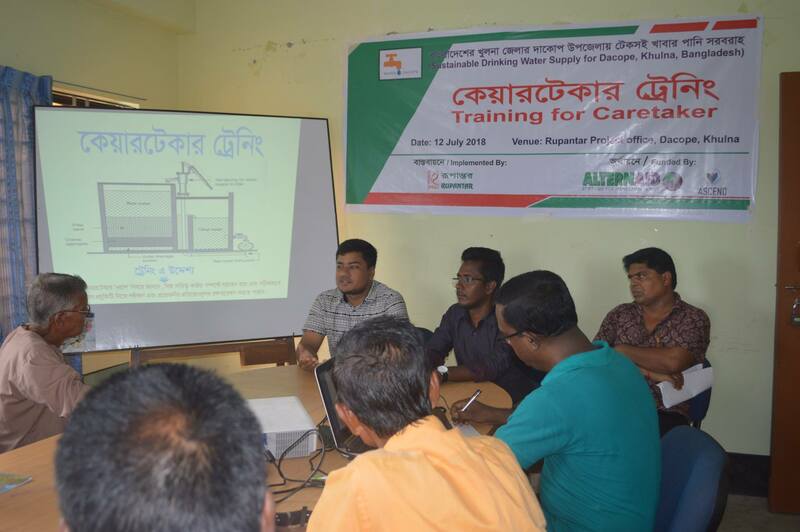 ), and to train selected community people to operate the water treatment facilities independently. 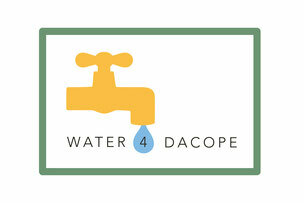 In the year 2018 we want to effectuate four projects in Dacope. If the entire project is successfully implemented, 3,900 people will have a stable and long-term drinking water supply. 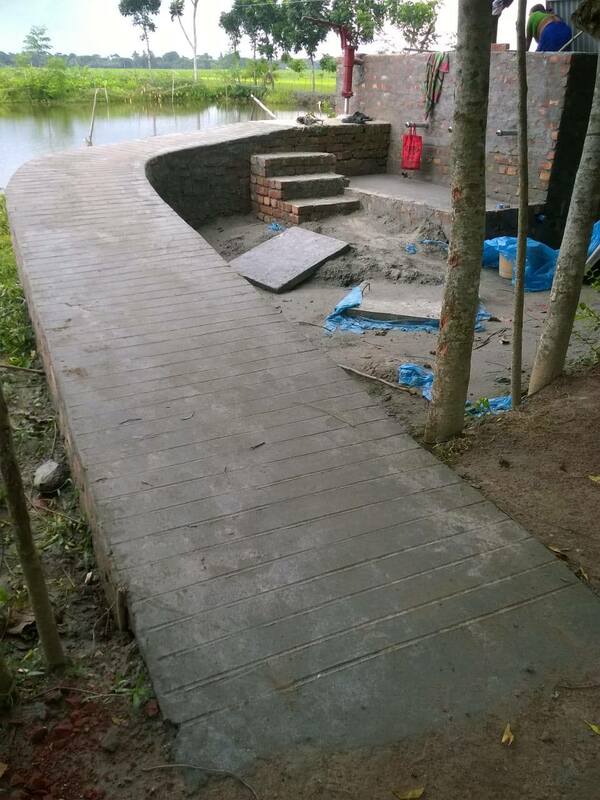 Because of heavy rain in the project's area, the work of our third project could only start mids of september. 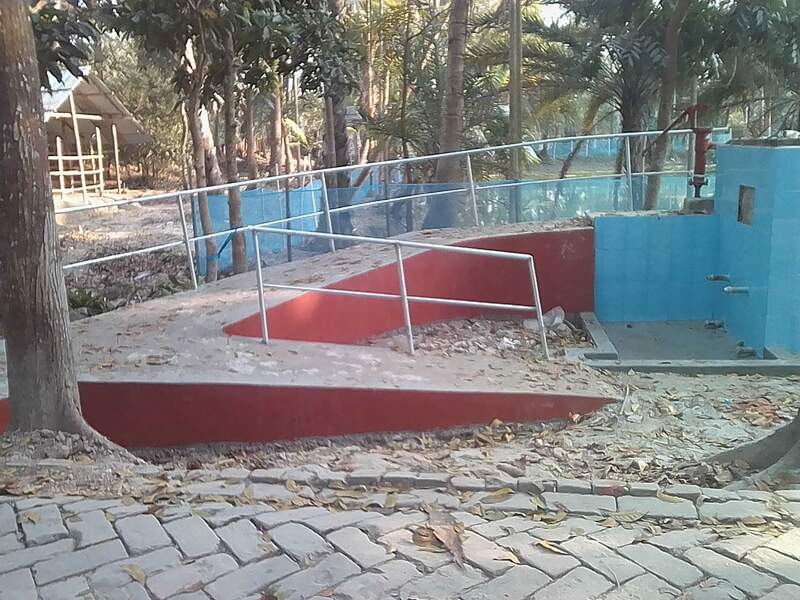 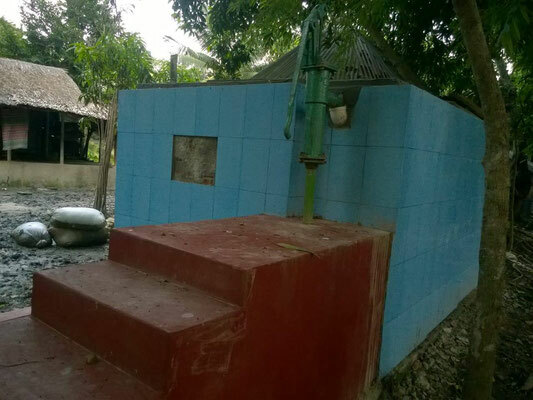 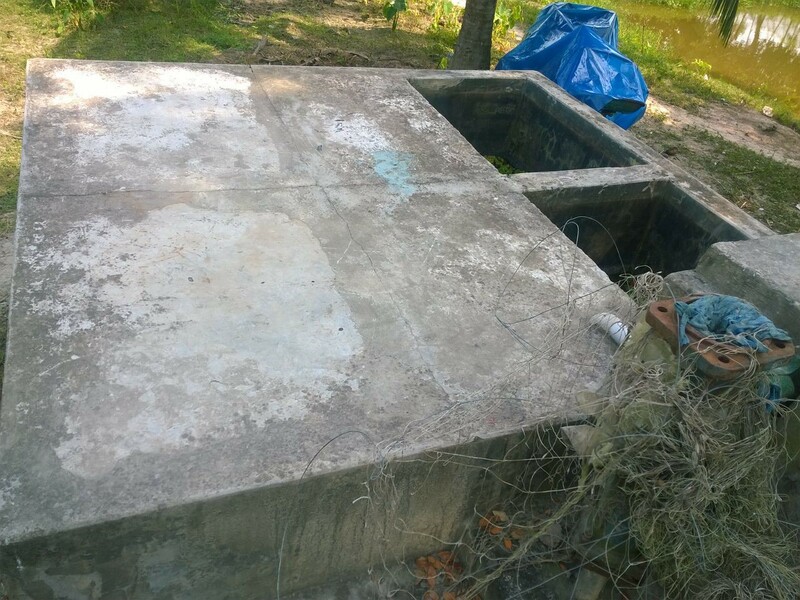 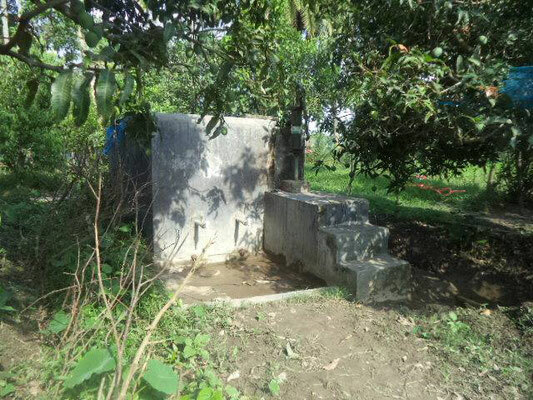 Here, three more sandfilter were repaired in the villages Chitabunia, East Bajua and Kamarkhola, with the adjusted training of the local maintening personnel as well as the formation of a water management committee for ensuring the lasting operation such as the financing of regular maintenance of the filters. The total budget accounts for 4,441€. 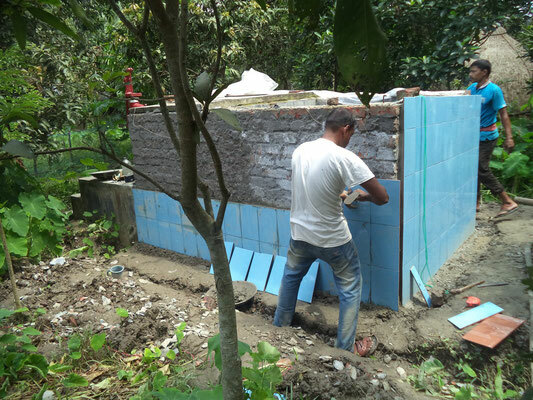 Tools for Life is supporting our project with a donation of 3,941€. 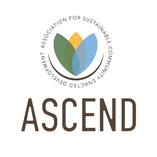 The own share of ASCEND accounts for 500€. 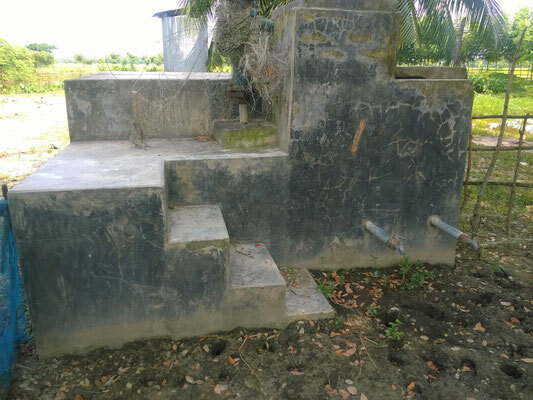 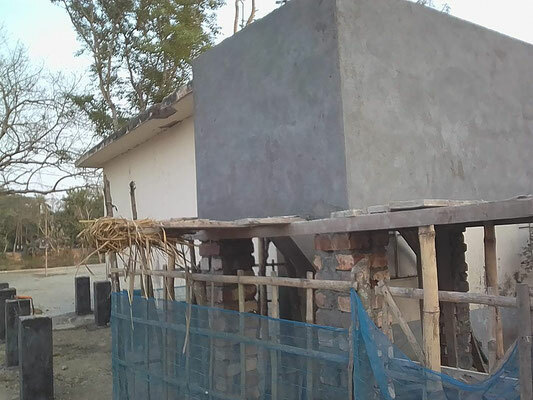 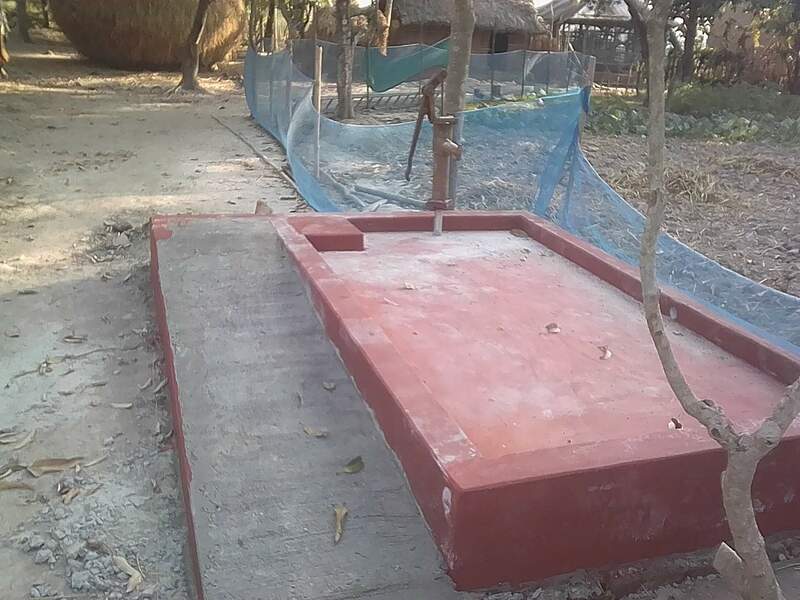 As part of our first project, a total of ten community based Slow Sand Filters will be installed, repaired and upgraded in ten different villages in Dacope. 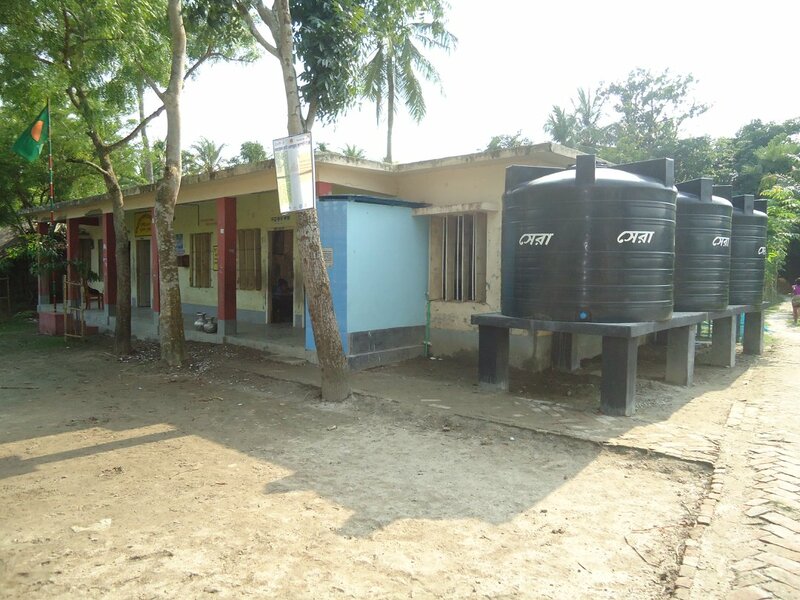 A separate rainwater harvesting and treatment system is being set up for a primary school in Dacope having 350 students with age group 5-12 years. 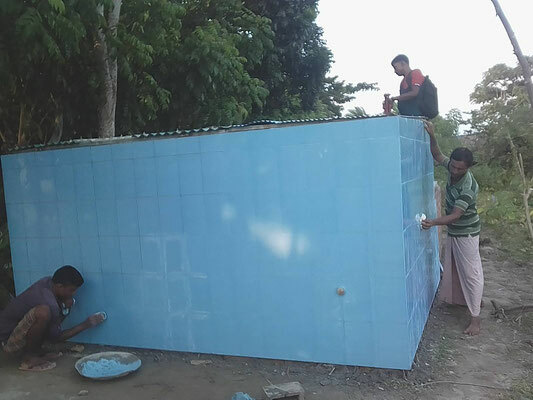 ASCEND and RUPANTAR repair two sand filters in the villages Orabunia and East Saheberabad and install a new rain water facility and storing system for the Kakrabunia Primary School in Saheberabad. 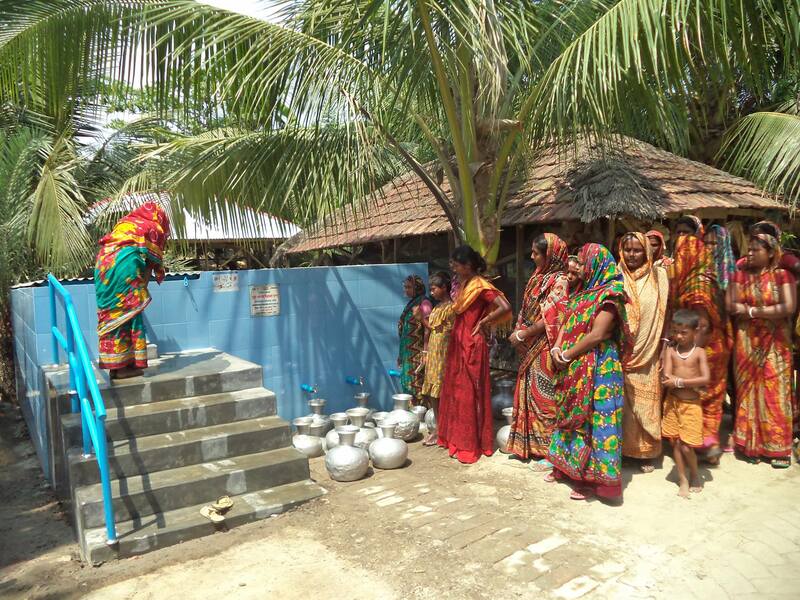 All together, 950 people benefit from the project and regain access to clean drinking water. The total budget accounts for 7,174€. 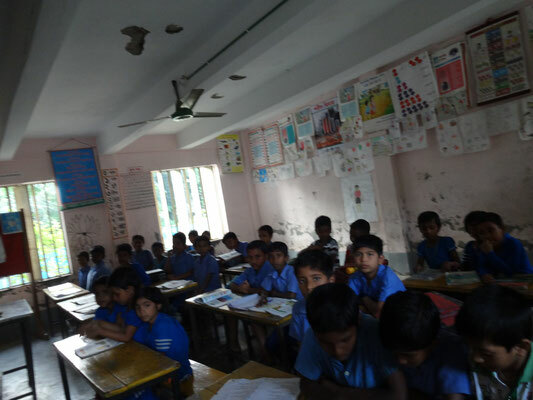 The Niedersächsische Bingo-Environmental-Foundation supports our project with a donation of 5,280€. You can find the project's final report in german here as download. 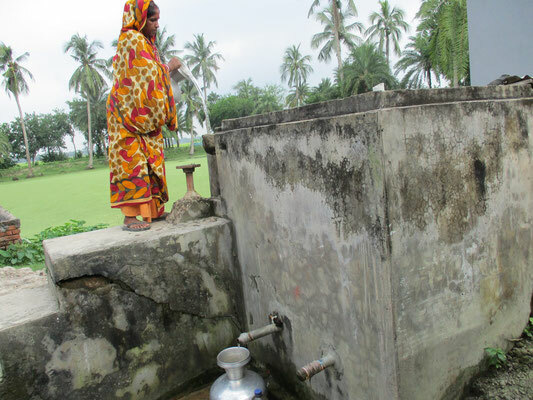 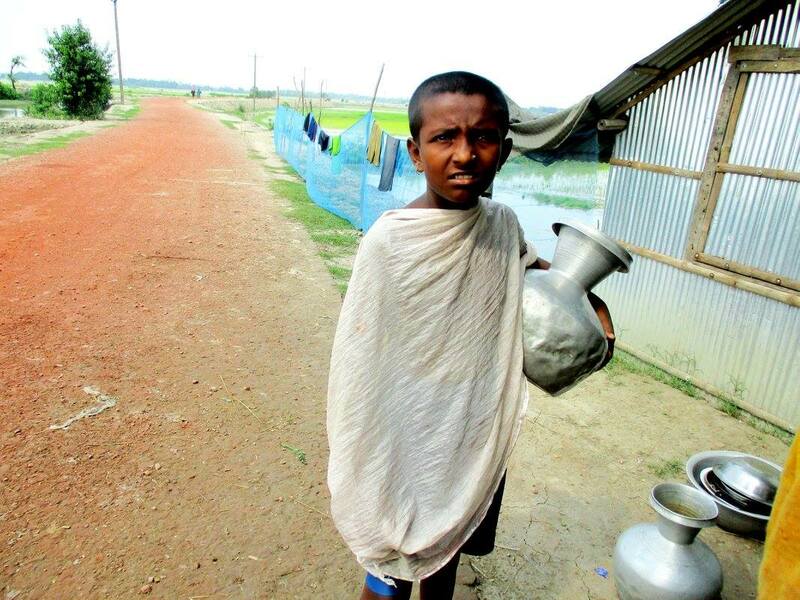 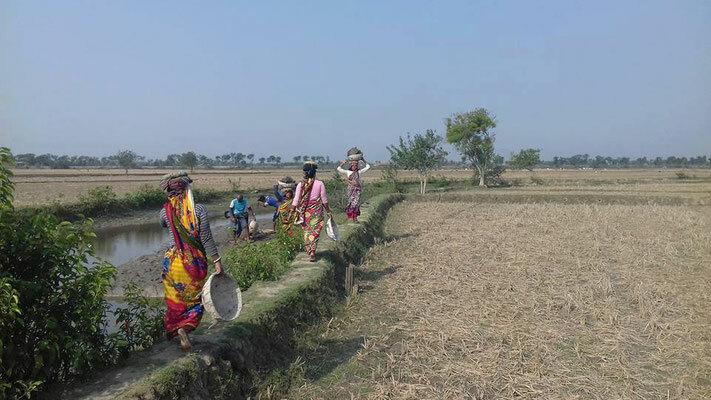 A combination of tidal flooding, inundation by storm surges and saltwater intrusion has led to a rise in salinity in the groundwater and the fresh-water ponds, causing acute drinking water crisis in the coastal area of Bangladesh, especially in Dacope, Khulna. 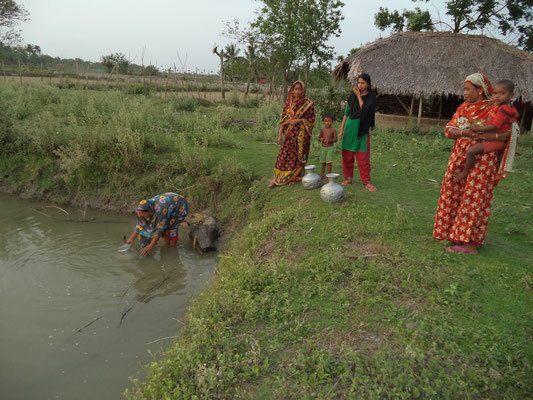 Due to climate change and other re-enforcing factors, over half (53%) of the population lack access to clean water in Dacope. 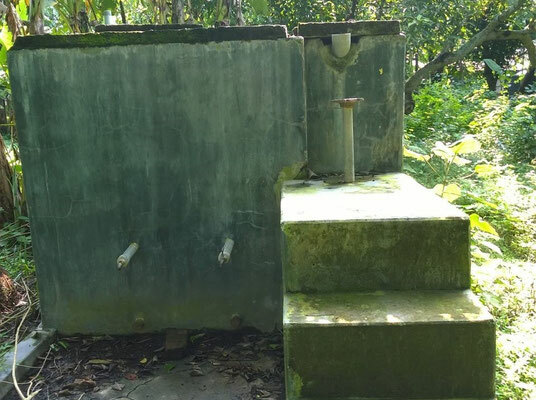 Drinking water sources are often contaminated or located so far away that hours of travel (by foot) are required to secure daily water needs, in areas often ravaged by storms and flooding. The WHO estimates that 80% of child mortality cases in the area are the result of drinking contaminated drinking water. The lack of access to clean water leads to increased rates of disease, lower attendance rates at school and work, and a drastic reduction in overall life quality. Provide a stable supply of clean and accessible drinking water for as many citizens as possible. 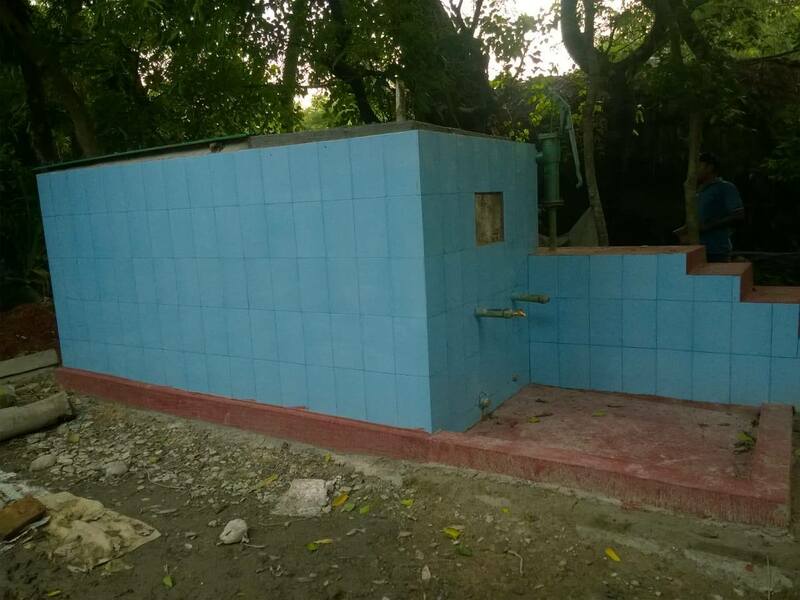 Creation of local skilled operators through training for the regular operation, maintenance and repair of water facilities. 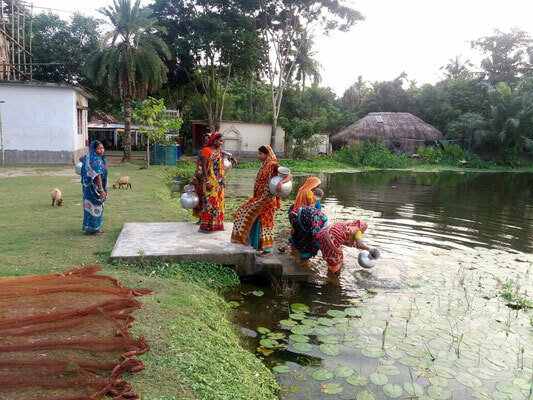 Establish a local financing system in which all users contribute small amounts for the upkeep of the filters and to pay the operators and caretakers. Citizens will suffer fewer health problems associated with contaminated drinking water. 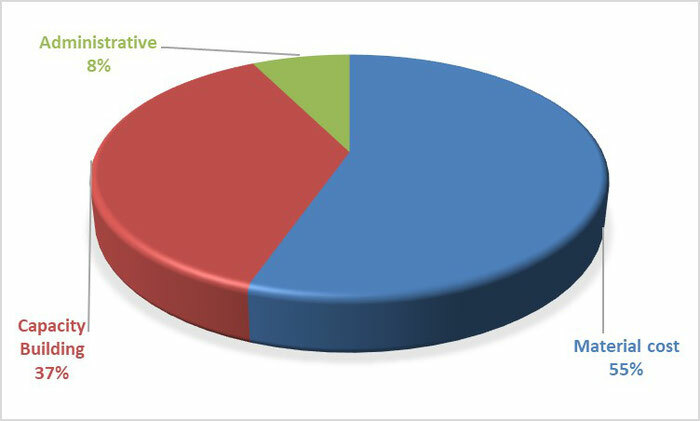 The working class will miss fewer workdays and have a more regular income. Time spent on freshwater collection will be drastically reduced for women and children, improving school attendance and education. 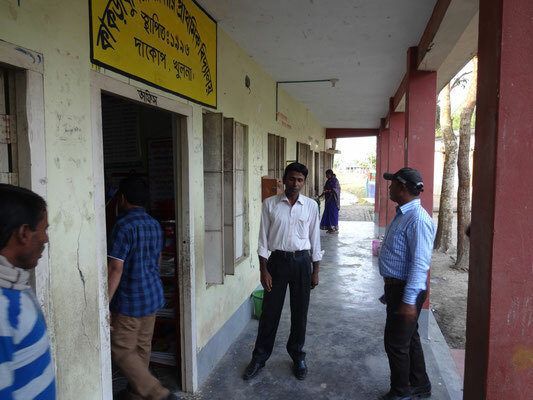 Child mortality will be significantly reduced. The project will train local people and build local know-how for independent maintenance and repair of water filtration systems – rather than depend on external funding agents and charitable organizations indefinitely. 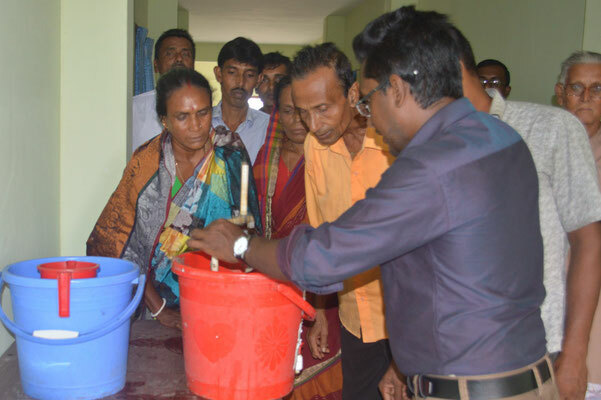 Critical jobs will be created in the water sector, staffed by local workers who will learn the skills necessary to manage the system long after the project has concluded. 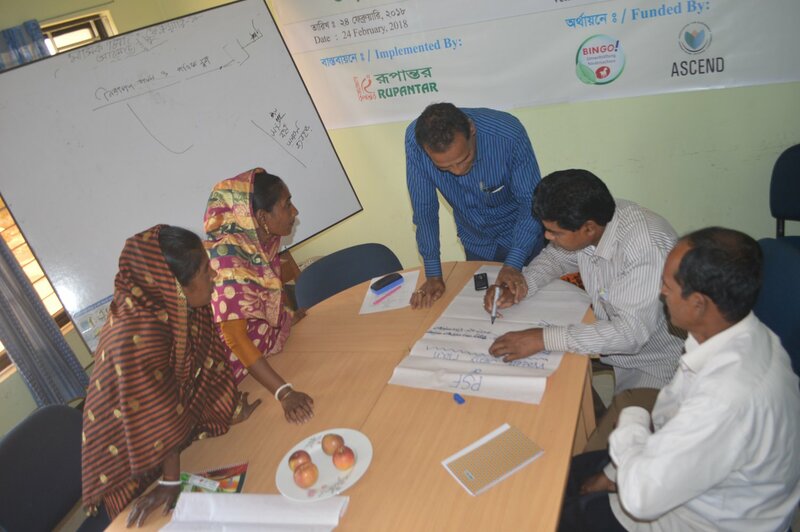 Local citizens can then transfer their knowledge to neighboring villages. 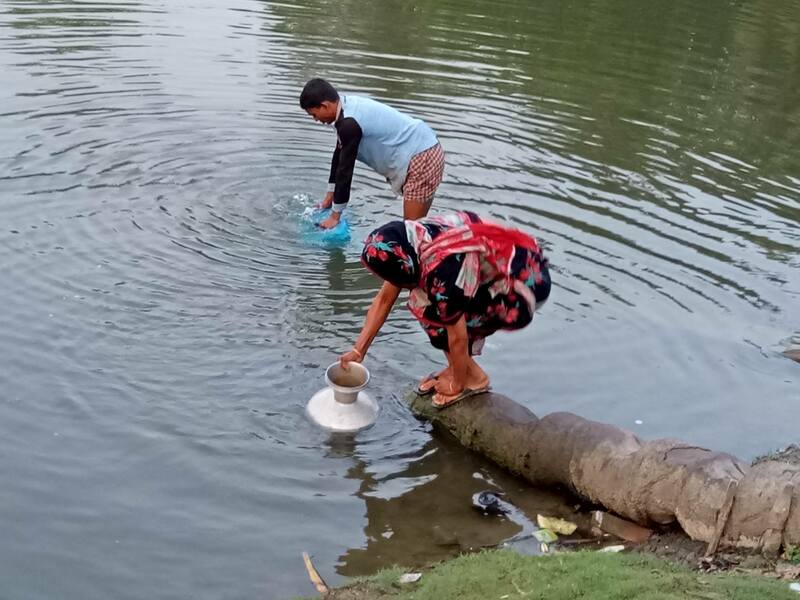 According to the WHO, every $1 invested in a stable and clean drinking water supply will contribute to an economic return of $3-34 US dollars, thus improving the economic situation of the region and reducing poverty. 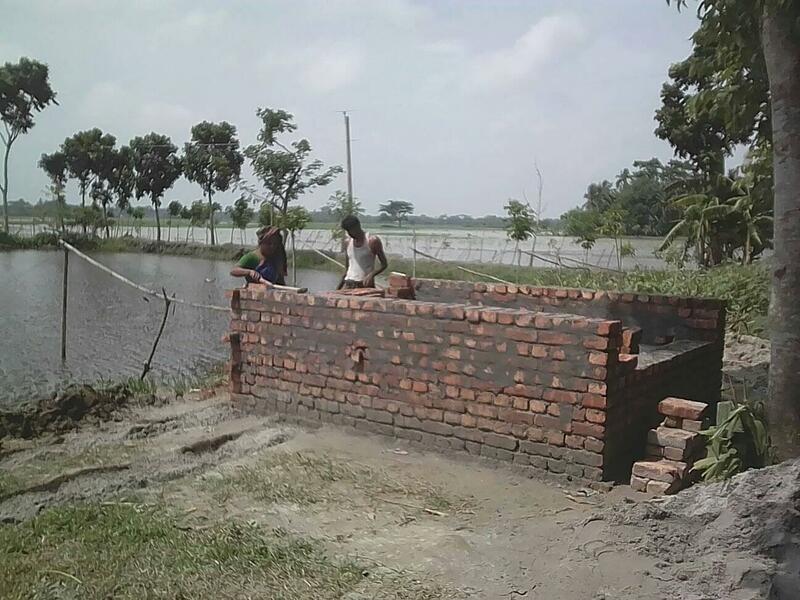 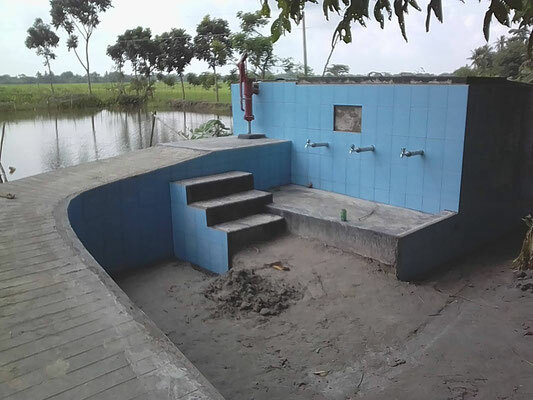 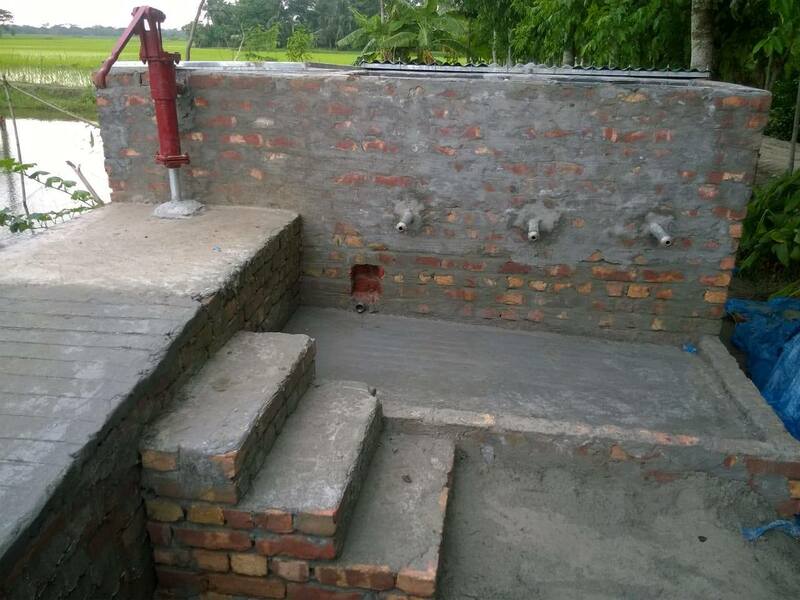 Our project is designed in such a way that a one-time donation of €5.30 ($6.25) affords one Bangladeshi permanent access to clean drinking water. Donations will be used to install low-tech water filters, repair and maintain existing filters, and to train local people to operate the systems independently. 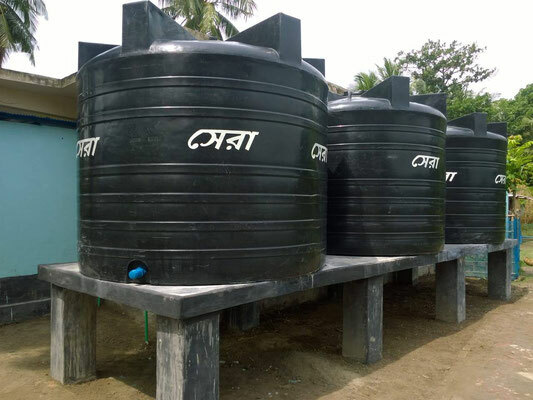 Costs for materials such as concrete or steel necessary for the construction and repair of the water filter systems and rainwater collecting systems. Use of funds for the training of the local people and the establishment of a local financing system for maintenance and repair, as well as the support of on-site construction and repair work. 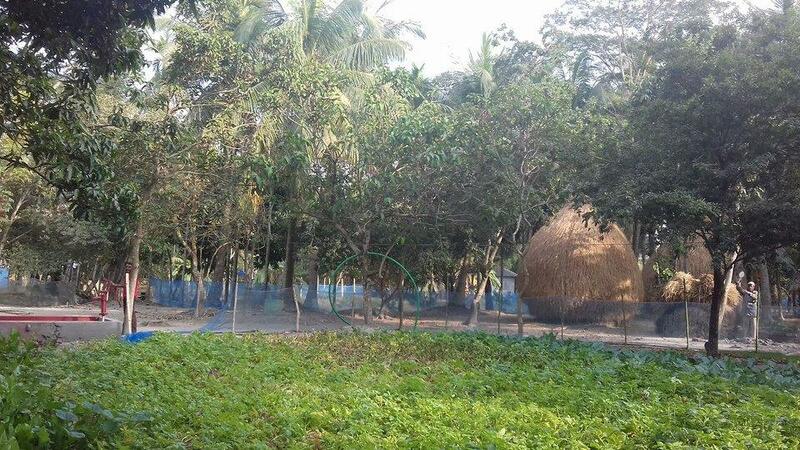 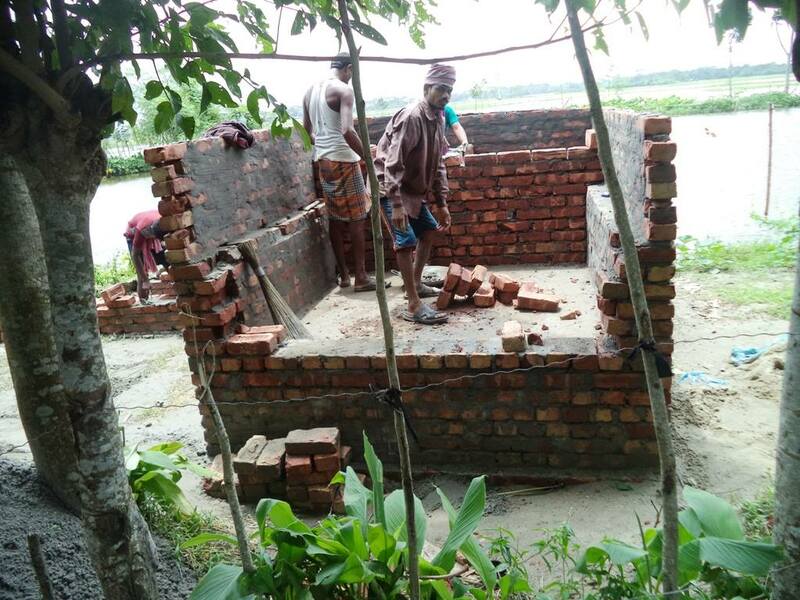 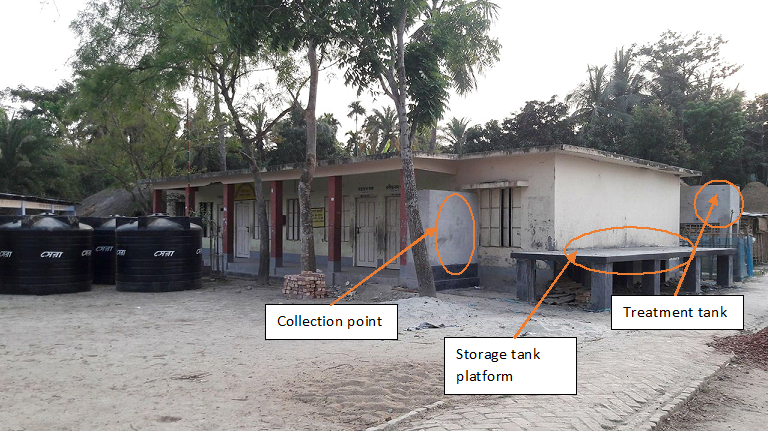 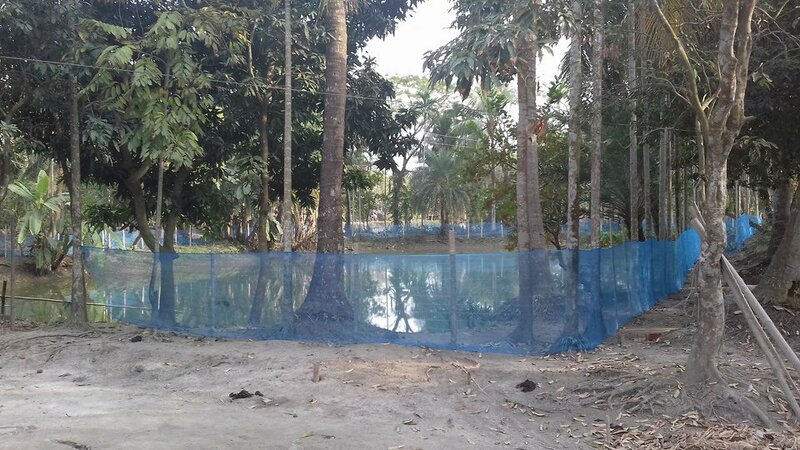 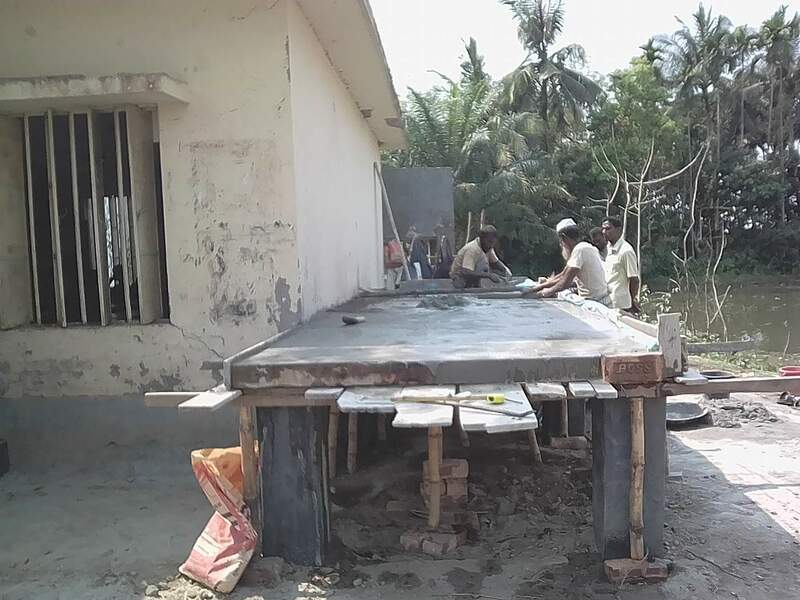 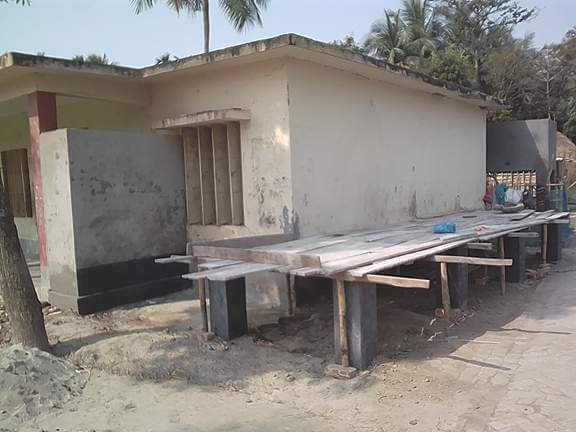 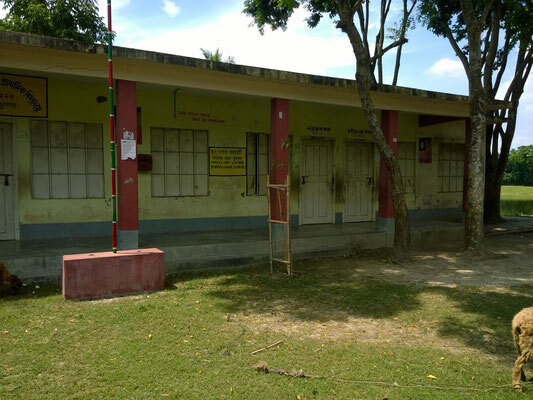 Organizational costs of our project partner RUPANTAR in Bangladesh (such as obtaining necessary permits from the Bangladesh government, transport costs, costs for official meetings with the respective local authorities), which are equally important for the implementation of the project.